Hunter mid stroke. 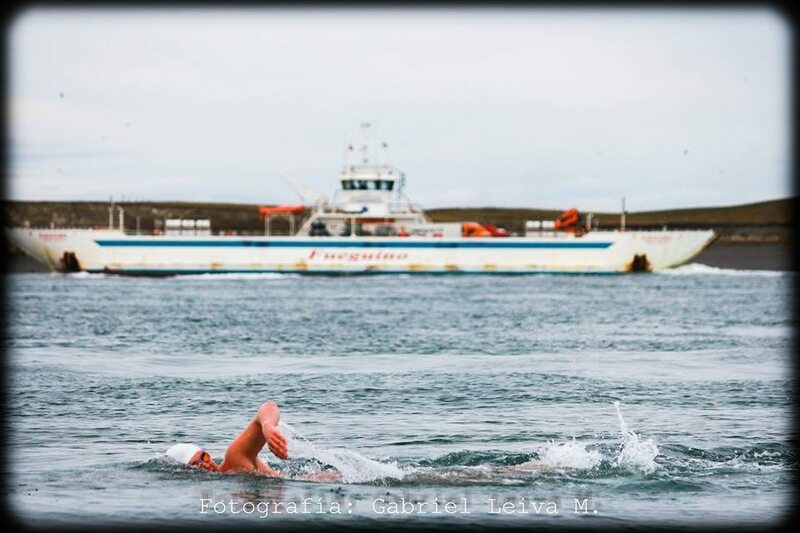 Photo: Gabriel Leiva M.
Top images: Pedro Ordenes guiding Hunter's Swim; Hunter swimming in the Strait; Hunter arriving to base; Hunter with a bevy of adoring fans. Images from Pedro Ordenes and Levy Gerzberg. 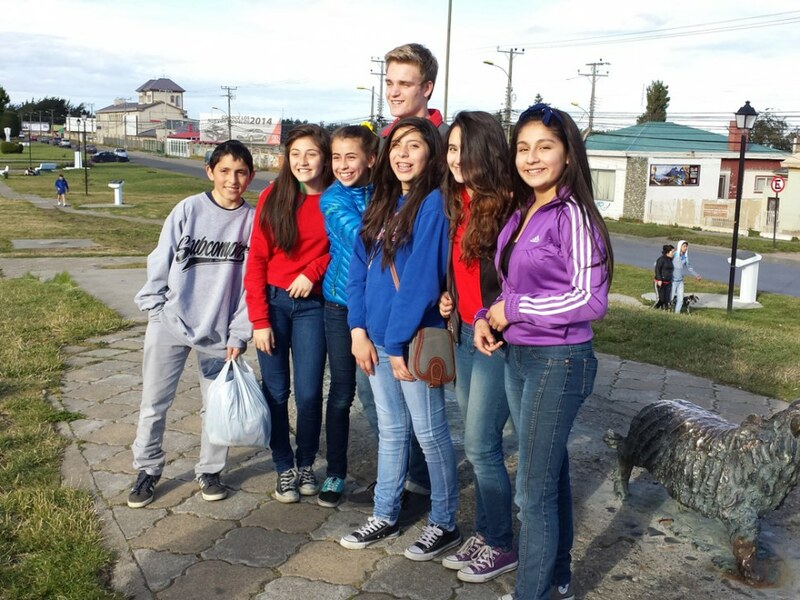 They are now on their way to Restaurant Jekus to have Hunter sign the wall of fame of those that have crossed the Straits of Magellan – proudly as a non wetsuit, recorded for history. 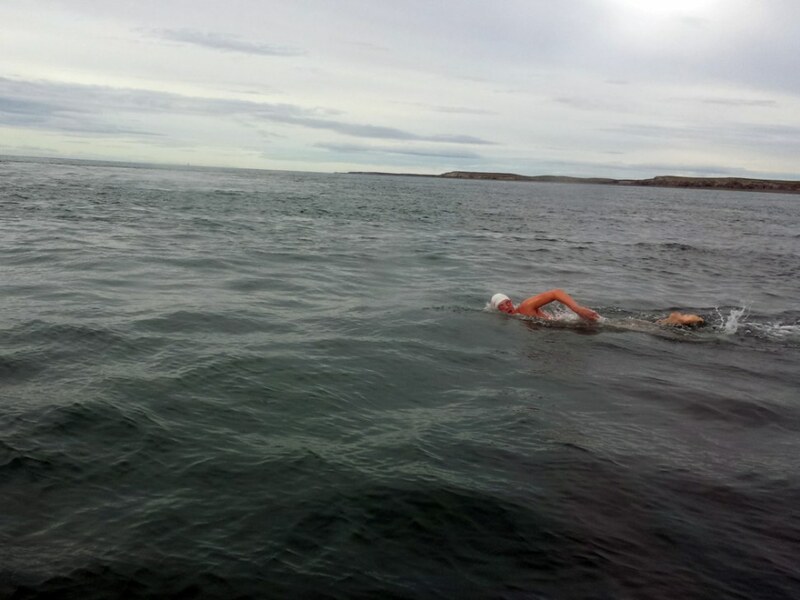 Pedro adds, “Hunter dedicated this swim to our Heroine Lynne Cox and his best friend who passed away Thursday, Andrew Jones, R.I.P." 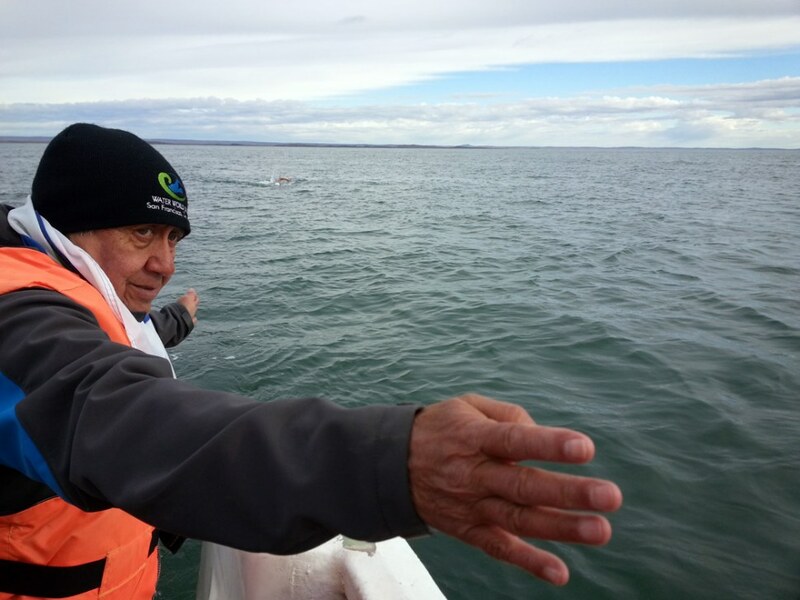 Thanks go to Pete from Mack's Earplugs, Hotel Rey Don Felipe, Jekus Restaurant in Punta Arenas, the Levy Gerzberg foundation, the Chilean Navy, and to the many supporting this challenge. Way to go,Hunter!!! Feel honored to have met you in the Alcatraz swim. Congrats to the entire team for pulling this off!! Respects and Congratulations to you! I can only imagine what you will be doing at 25! 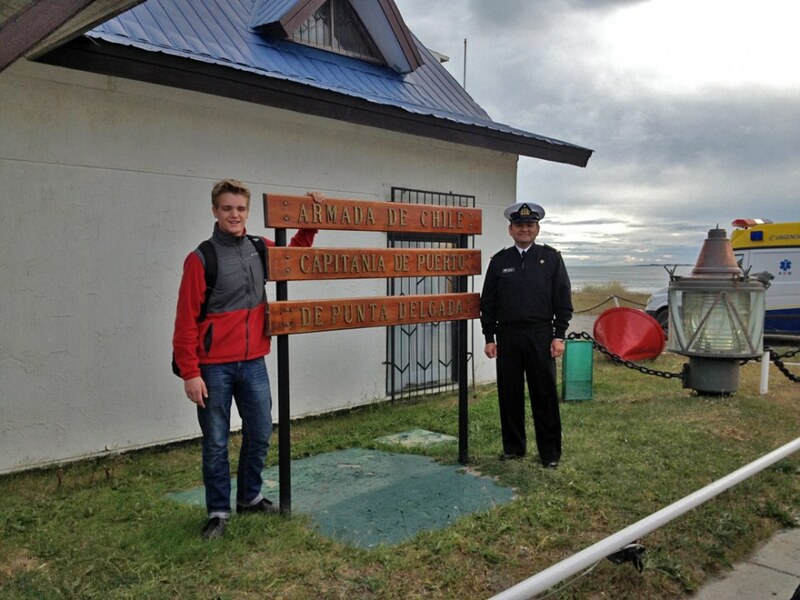 Very inspirational, congratulations on an amazing feat. Congratulations Hunter! You worked very hard to achieve this goal. I’m very proud of you. You are a real inspiration to me. See you when you get back. Hunter, unreal job, can’t wait to see you. Mom and Dad must be so proud. Congratulations Hunter, great Bulldog effort! This experience of traveling the world and successfully completing the challenges to reach your goals is something that will forever make you a greater man. You are fortunate to have a family which has supported you and given you the independence to achieve this distinction. Outstanding accomplishment! Hunter, you have graduated to the next level of swimming. Truly you are inspirational. I look forward to seeing you at some of the WWS swims this year. Congratulations Hunter ! Amazing achievement ! Very encouraging ! I wish you all the best ! God bless you ! Congrats, Hunter! 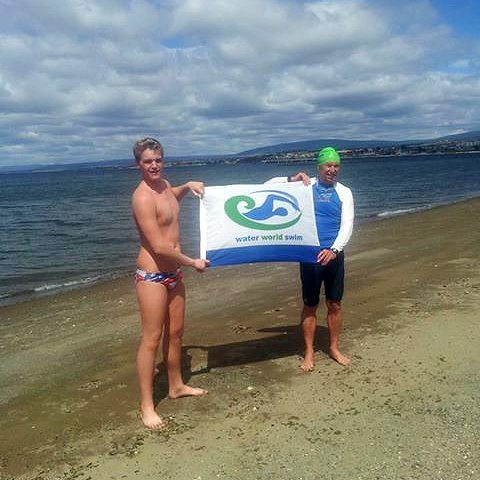 Looking forward to tracking the next big swim.